Project Description: Engineering design, preparation of construction documents and probable construction cost, and bid documents for the installation of approximately 13,500 LFof large diameter sewer including 8,400 LF of 54-inch, 1,950 LF of 60-inch sewer and approximately 300 LF of 72-inch steel casing installed, 200 LF of jack and bore, and associated work. 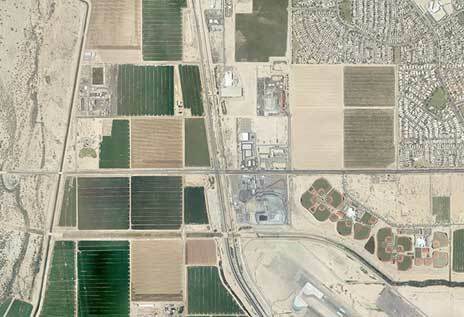 CVL also prepared legal descriptions with exhibits to assist the City in the acquisition of easements and right-of-way. Provisions were made to bypass and abandon the Cotton Flower Lift Station and force main upon completion of the future Elwood Road Sewer Line. • This interceptor opened a 10.5 square mile area of Goodyear for full sewer service. Temporary lines, lift stations and undersized sewers were abandoned as a result of CVL’s design. 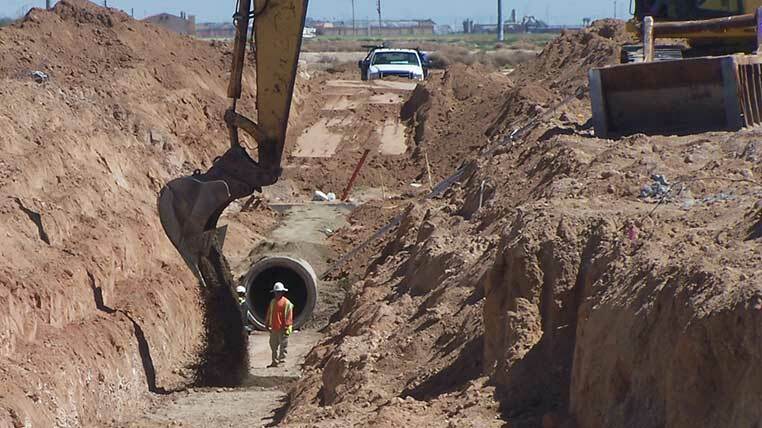 This sewer system now provides the City of Goodyear with developable land, giving the City another tax generating revenue stream. • Improperly installed 54-inch pipe resulting from the Contractor’s poor quality control threatened the project acceptance. 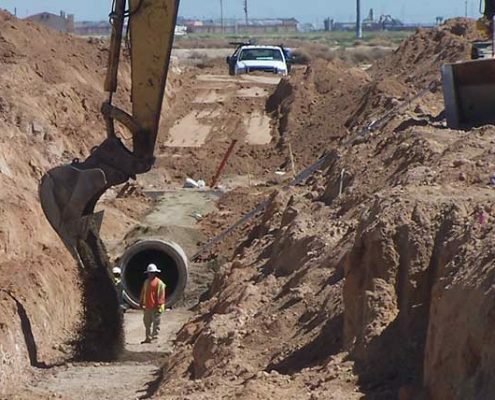 CVL performed a review of the detailed survey elevations for each pipe section and hydraulic calculations and recommended that 1,200 LF of 54-inch pipe with 2 manholes be removed and re-installed; project approval was obtained. Through CVL’s redesign, legal action was avoided, keeping the project active and moving forward.